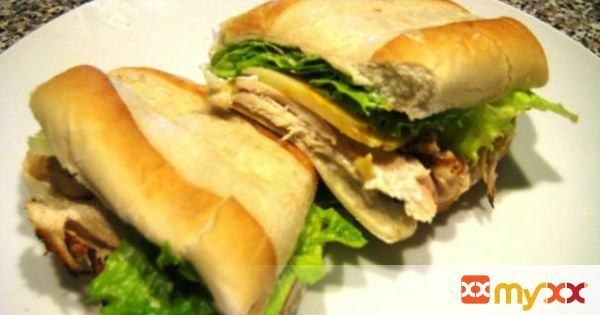 This is the perfect chicken sandwich for lunch or dinner. I love serving it up with a side of sweet potato fries and a big green salad! 1. Combine half of the buttermilk, hot sauce and a sprinkle of salt and pepper in a large bowl. Add in the chicken, making sure each piece is covered and coated with the mixture. Set aside to marinade for about 15 minutes. 2. Preheat a grill pan (if you have one - I used a cast iron skillet) to medium high heat. If using a grill pan, spray lightly with nonstick spray. If using a cast iron or other type of skillet, pour about 1 tbsp. oil in the skillet and heat until shimmering. Transfer the chicken to the pan in batches, cooking about 3-4 minutes on each side, until done. 3. Cover each cooked piece of chicken with cheese and set aside so the cheese has time to melt. Whisk together the rest of the buttermilk, mayo, sour cream, a generous sprinkle of salt & pepper, garlic powder and apple cider vinegar. Stir in the chives and taste to adjust seasonings and texture. 4. Spread each roll with some of the ranch sauce and fill with the chicken, lettuce and tomato to serve.